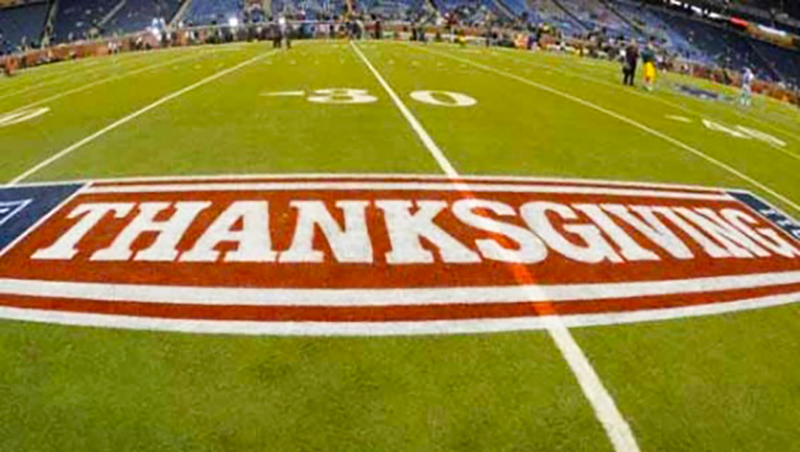 We’re taking a few days off this Thanksgiving to be with family and friends and to give thanks for the really great food … and football. All three of the matchups are division rivalry games, and all three of the games feature matchups from the NFC – Bears at Lions (12:30 p.m. ET, CBS), Redskins at Cowboys (4:30 p.m. ET, FOX), Falcons at Saints (8:20 p.m. ET, NBC, stream on fuboTV). So loosen your pants and get ready for some football!! Happy Thanksgiving. We’ll see you on Monday!